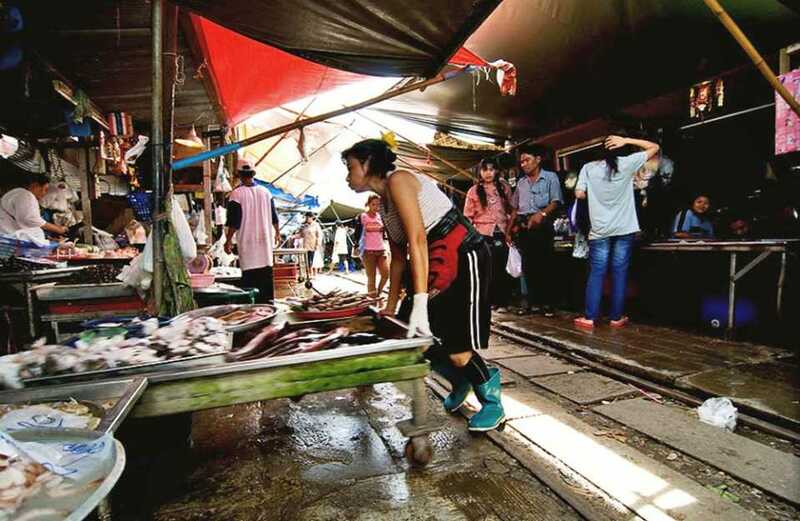 Rom-Hoob market (meaning Folding-Canopy Market) is located within the center of Samut Songkhram province, 72 kilometers from Bangkok. It runs about 500 meters along both sides of the railway track and is always crowded with buyers from nearby provinces. The placement of this market along a railway track raises interesting questions, especially given that it has become such a popular local junction where people come to buy their food and household products.